I've decided that God will lead me to victory! I will be using 'The Crescent and The Cross' SAGA book to get my Warband started. From what I have read, this rule book is also a little more complete than the initial set of rules that was released previously. 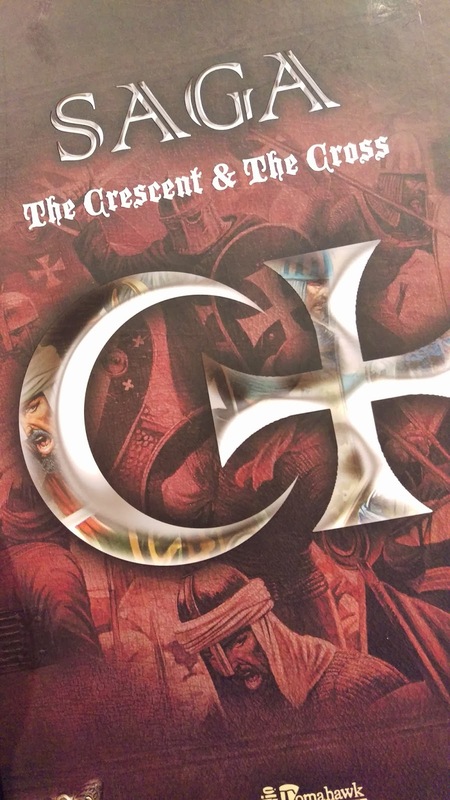 With some rules being better explained and errata being addressed when it went to print. 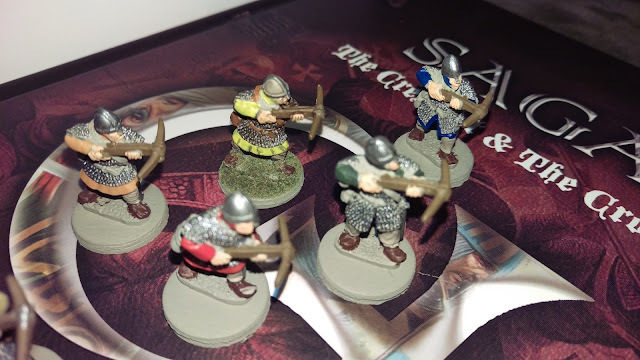 I've got a unit of crossbowmen based and ready to be primed. I purchased a few models off of Scott in order to start basing, painting and getting my Crusader army up right away....sorry...Warband. 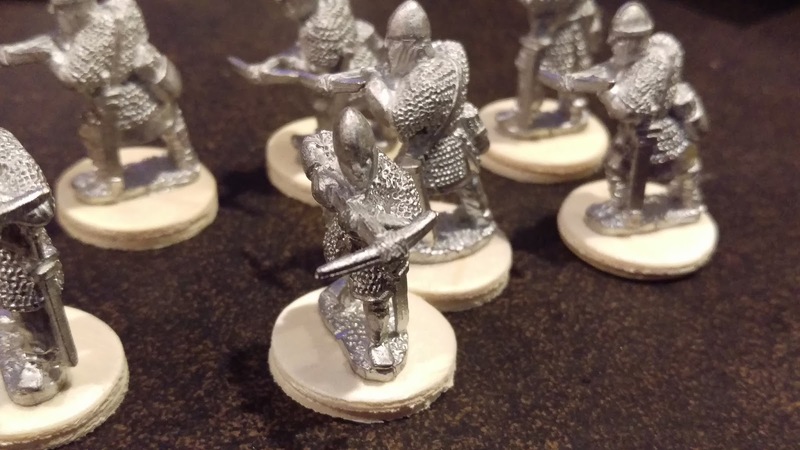 Made up of several different unit types.Levies (basically your lesser troops/peasants), Warriors (on foot or sometimes mounted), Hearthguards (again, sometimes on foot or mounted with better stats) and finally you have your Warlord (commands your Warband can also be a foot unit or mounted depending on your list). I'm pretty sure these are Perry Miniatures and were very easy to clean up and paint. 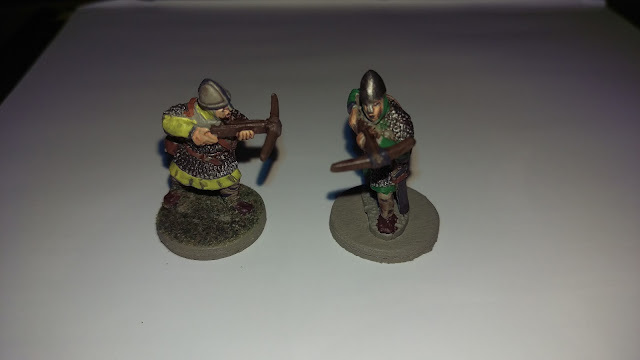 Two of my 'test' painted models. I have a few books that I referenced and the colors of the individual varies quite a bit from source to source. It also has a lot to do with the particular time period you're working with. I like that, even though a lot of pictures and descriptions of the armies of the Crusades have white based with a huge red cross on them, this was not always the case for the entire force. Messing around with colors other than greens and browns was kind of a nice break. Once completed, I hope to have them all based, washed and ready for the table! 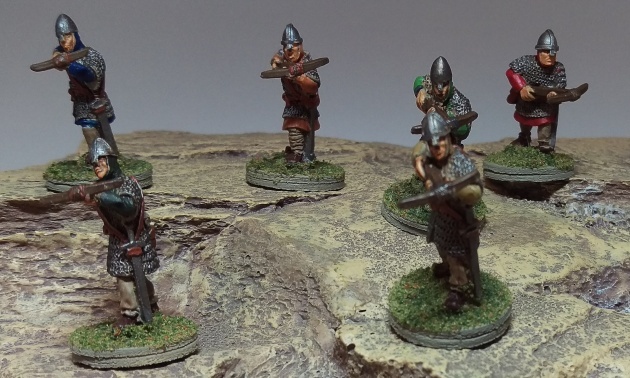 I've got a group of warriors with swords to do after this group of eight is finished. Trying to get them all done before the starter army I ordered arrives in the mail, hopefully before Easter long weekend. Finally all eight in one picture.....a few more things to detail. 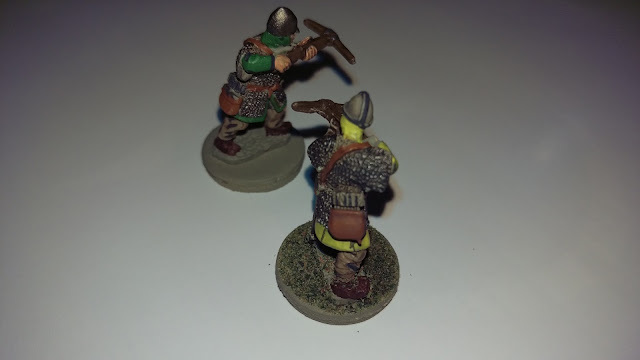 I'm pretty happy with painting 28mm, and the ease of models showing details that would otherwise be lost on some other systems or scale. Can't wait to get some games done! 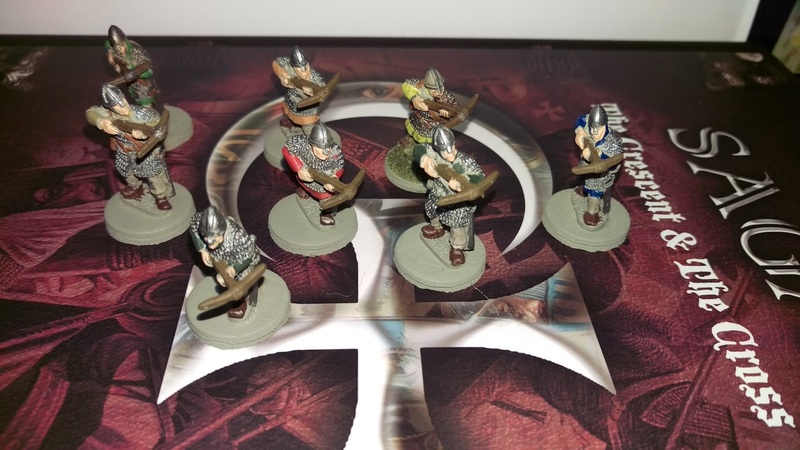 The speed at which you can get into this game and have an entire Warband painted is great. I think it's one of the main reasons it was easier to convince others to give this system a try. We hope to have some of our regular After-Actions done and posted shortly. 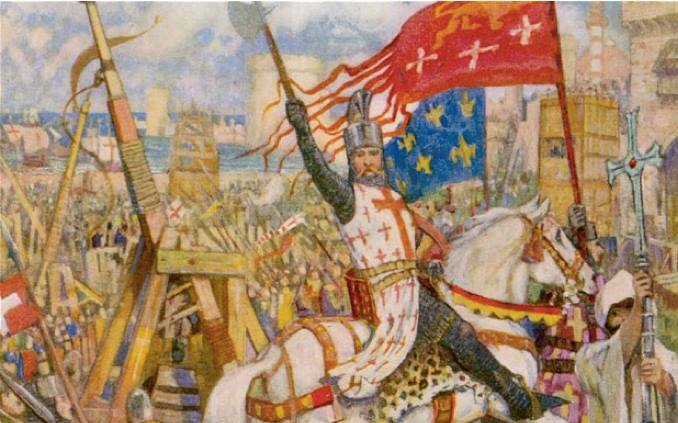 At least I have, ready to smite those who oppose God and leave the battlefield victorious! Every time I drive up Bronson and the non-locals pick the wrong lanes to be in because of the arcane turning left on Somerset and so on, I drive past them and say "You chose.... poorly"
I have my first 8 scotsmen spear & shields guys done. I'm still waiting for my models to arrive but I hope to get them painted as soon as possible. I have my 8 warriors and 8 Crossbow done, now working on my 8 Hearthguard.... Looking forward to Friday!! !